This is the concluding part of the account of the Rivers State FA Cup as seen by a journalist in Port Harcourt who watched proceedings. After announcing Dolphins and Sharks as qualifiers for the Federation Cup, the Rivers State FA secretary went on to say there would be no final match in Rivers State. “We have no money to host the final so we will not. The Rivers State sports commissioner did not approve any money and there is nothing we can do,” Akubo (In picture) said to naijafootball247.com. He also told www.pointmancarl.wordpress.com that “No one has bothered to ask how we’ve managed to this stage. There has been no support from any quarter. All financial expenses have been borne by us (FA) so far. What would be the need of further spending money for a final?” asked Ibigoni. “If I am able to produce two finalists and send their names to national, I have tried,” he added. However, they failed to tell people that sixteen clubs registered for the FA Cup and though one withdrew later, fifteen others paid the sum of N80,000.00 each( about $ 533) despite the fact that the NFF requested just the sum of N15, 000.00 (about $100). Anambra State charged clubs N25, 000.00 each while Bauchi State charged N20, 000 but Rivers collected N80, 000.00 per club. On Wednesday, May 22 at about 4pm news filtered from Abuja that Rivers State would have no representatives in the Federation Cup. The NFF, they said, frowned at the fact that unqualified referees were used in the FA Cup and also the fact that no final match was played in Rivers State. According to the statement from the NFF, both clubs are barred from taking part in the competition because Rivers State Football Association did not meet up with regulations regarding preliminaries of the competition. “The 2013 preliminary matches of the Federation Cup had unqualified/registered referees handling the games. This therefore means that no preliminary matches were played in the state in accordance with the rules and regulations governing the competition,” the release signed by NFF director of competitions organising committee, Dr Mohammed Sanusi read. The release further stated that Sharks and Dolphins will subsequently be excluded from the draws of the competition. However, a full day later and after a hastily written appeal from the state FA Secretary, Benjamin Akubo, their decision was rescinded a bit. 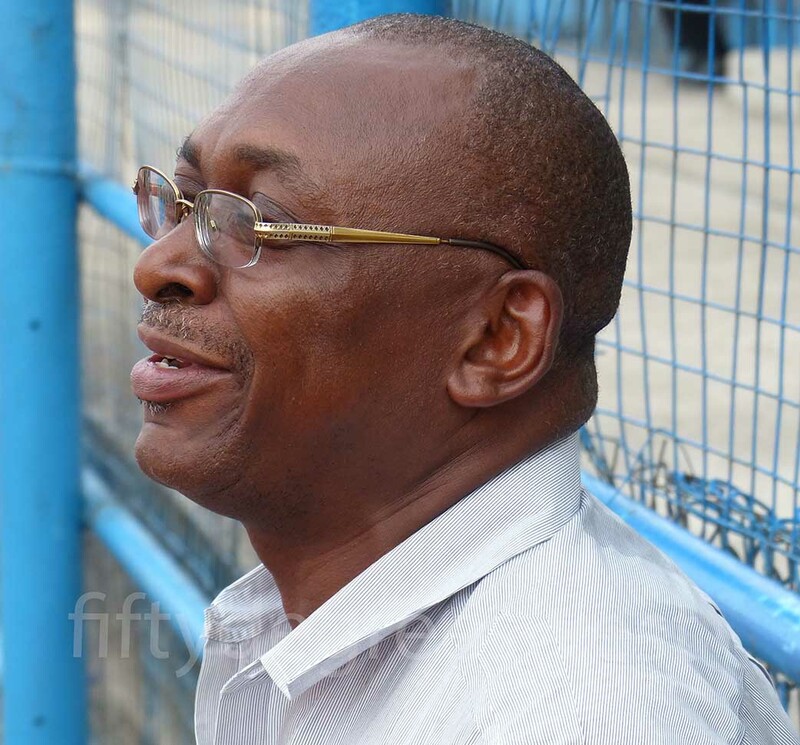 The board of the Federation met in an emergency meeting and in a letter signed by Musa Amadu, the General Secretary of the Federation, the Rivers State FA was granted reprieve to replay the remaining matches of the 2013 Federation Cup competition in Rivers State before Monday, May 27,2013. The state FA was also fined N500, 000.00 (about $3,333.00). The FA was also warned to comply strictly with the rules and regulations governing the organizatlon of the Federation Cup and should desist from acts and conduct that bring the game into disrepute. After deliberations at the state FA Secretariat between members of the FA, referees committee and representatives of clubs that took part in the FA Cup (Only 5 of 15 were present), it was agreed that the remaining matches were the botched game between Sharks and Go Round FC as well as the final between whoever wins that one and Dolphins. Immediately, the FA fixed Monday, May 27 for the semi final game while Wednesday, May 29 was fixed for the final. In that semi final replay, Sharks beat Go Round 1-0 courtesy of a goal scored by Thompson Stowe and the final was set for Wednesday. The State final between Sharks and Dolphins did not kick off at 3pm like was announced. Referees appointed for the game came thinking they were there for a semi final game between Dolphins and Eleme United and when they saw it was the final match they cited the rules that say officials for state FA Cup finals must come from another state. There was an erroneous impression that the NFF when they rescinded their decision to ban Sharks and Dolphins ordered for the replay of both semi finals. Two sets of referees were then appointed for the two semi final games. When it was decided at the FA office that only one semi final would be played, the message did not get back to the Federation from Port Harcourt that they should appoint referees for the final match of the competition. The Rivers State FA rather thought they could just use one set of referees for the semifinal and the other set for the final. After deliberations, phone calls made and pleas accepted, the Nigeria Referees Association boss in Abuja apparently allowed for referees from the state to handle the final. At this time it was already 5pm and with the Liberation Stadium in Port Harcourt lacking flood lights, the game was played for 35 minutes per half. Thompson Stowe’s goal just before half time gave Sharks the victory.